A bathroom renovation doesn’t have to be a full-on project—changing a few touches can make a big difference. For example, a simple change in lighting can affect the overall feel of the room—for the better. The lighting design tips and products below offer ideas for simple makeovers to one of the most trafficked rooms in the house: the bathroom. (And if you need more lighting makeover ideas, download our free brochure). Make bathroom lighting changes to the sink and vanity areas. Changing your lighting scheme or the lighting fixtures that you're currently using in the sink/vanity area can spruce up your space with minimal investment (in labor and in dollars). Vanity lights are a great way to add light to your sink. Many manufacturers build fixtures that you can mount up or down, depending on the effect you want to achieve. For example, mounting up will bounce light off the ceiling, which helps create a soft glow below. Mounting down will direct light to where you need it most. Sconces mounted on either side of the mirror can also create fantastic light. Pro tip: Place sconces with glare-free glass diffusers ideally 36" apart for even illumination at eye level. Backlit mirrors are another great option. Many manufacturers are emphasizing backlit mirrors or mirrors that implement lighting within the mirror itself. This makes for easy installation. Add accent lighting to create interesting visual effects and for increased functionality. In addition to beautifying your space, accent lighting can support your overall lighting efforts. Decorative sconces or pendants can add elegance or ambience (or both) to your bathroom. Under-sink lighting, cove lighting, and toe kick lighting are so much easier to use and install now, thanks to flexible LED tape. Extrusions and lenses will diffuse light and protect the tape from moisture. LED tape can also backlight mirrors, and micro spotlights can pinpoint light on beautiful sinks. LED Lighting: See It, Touch It, Take It Home! There are so many good reasons to embrace LED technology. For example, today’s LED bulbs can be six to seven times more energy efficient than conventional incandescent lights and cut energy use by more than 80 percent. This month, we're ALL about LEDs in our "See it, touch it, take it home" promotion. Below are just some of the featured selections you can expect to see when you stop by one of our lighting showrooms. SlimSurface LED Downlight from Philips Lightolier. Philips is a brand name that's synonymous with quality lighting. Its SlimSurface LED Downlight can work in a variety of situations where recessed would not be cost effective or even possible. In conjunction with the Builders and Remodelers Association of Greater Boston (BRAGB), we're thrilled to host a seminar on LED lighting products as part of BRAGB's "Breakfast with the Expert" series. Topic: What Should I Look for When Purchasing LED? When: Wednesday, September 9, 2015 from 8:30 a.m. to 10:30 a.m.
Who: Susan Arnold, Wolfers Lighting consultant with more than 22 years of experience, will lead the breakfast seminar. How: Space is limited! Please register here to reserve your spot. At Wolfers, our lighting consultants love working with everyone—answering questions, teaching them about the complex world of LEDs, and providing lighting tips. Our team members have a passion for lighting, and it shows in every conversation they have and seminar they present. Susan, in particular, loves working with our customers. Here she is in her own words…it's a sneak peek of what you can expect from the breakfast seminar. Have you noticed it's starting to get darker earlier? (Sigh.) And so it goes, along with the waning days of summer. That said, we're not ready to pack it in for the year just yet. In fact, there's still plenty of porch-and-patio time to experience straight through October, provided you have good outdoor lighting for those late afternoons and evenings you spend lingering in the great outdoors. 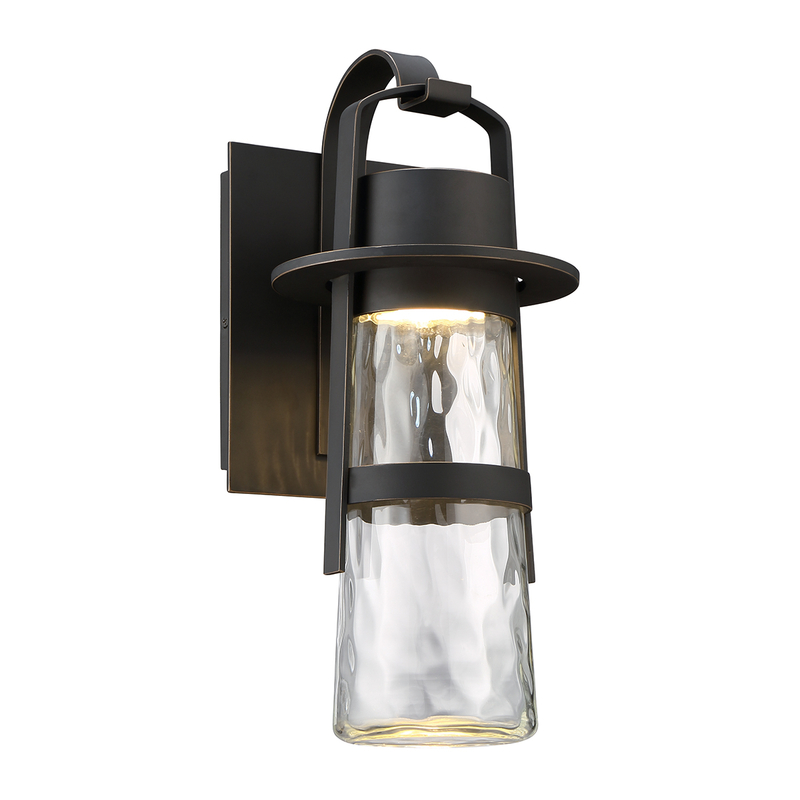 Now is a great time to think about your outdoor lighting fixtures, meaning your wall lights, pole mounted lights, and outdoor pendants, which serve as the “jewelry of the home." Below, you'll find several of our favorites from one of the leaders in the industry: Modern Forms. These LED fixtures are fantastic modern pieces that add glamour and are easy to use/install.